Monday was our first day of excavation! 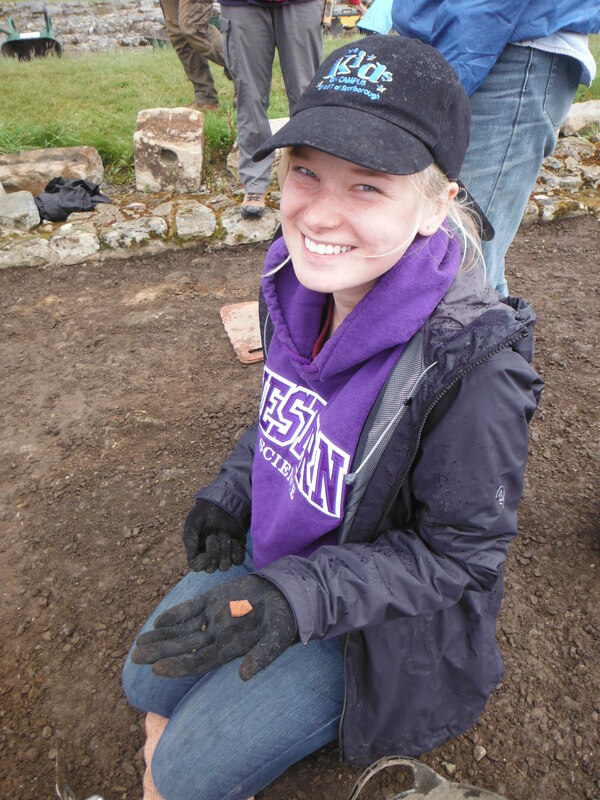 I was one of the group that is digging in what is known as the vicus, or the extra-mural settlement (the town outside the wall of the fort). I spent most of the day degraveling, my entire body is sore, but no matter how insignificant my find of a tiny sherd of pottery was it was my first find ever and I was super excited. I have determined that upper body strength and arm strength are crucial when removing the upper layer of gravel at least and of these I have basically none, but that will improve by the end of my time here at Vindolanda (hopefully!). 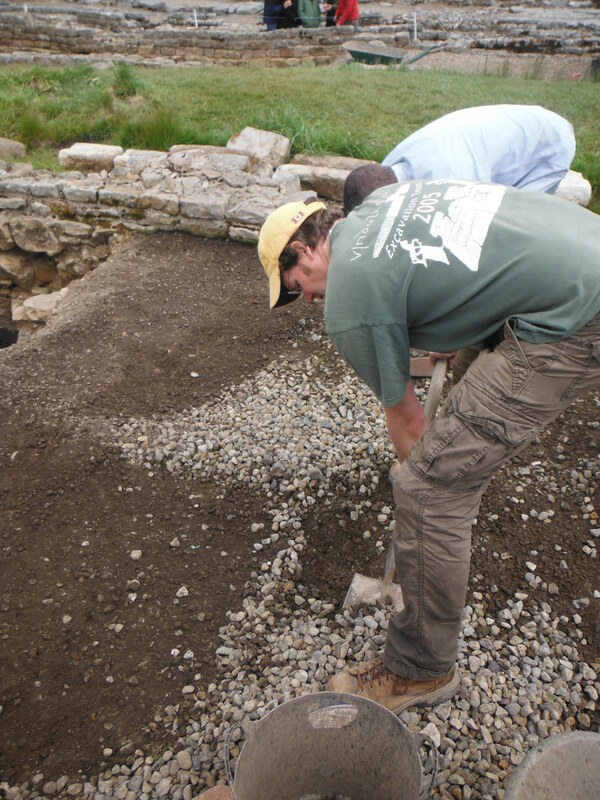 But after scraping away with our trowels for a few hours we decided to speed things up a bit by using shovels, and then I got to just search the clumps of dirt my two trench mates were tossing in the wheelbarrow and that was a much easier job for me. All this hard work made me work up way more of an appetite than I usually would and I learned the hazards of being too lazy when packing your lunch, note to self: never skimp on the food. Luckily the biscuit bucket of communal cookies was there and I got to supplement my lunch with those as well as a quick stop in at the museum café. Despite the aches and pains, I think we’re off to a good start with our excavations, and I’m excited for what tomorrow will bring! Along with the cookies I bought at Sainsbury’s for lunch. The more efficient way of removing gravel.